Send us your best snapshots of Missouri Agriculture for this year’s Focus on Missouri Agriculture photo contest! Last year, we received over 1,000 entries showcasing Missourians’ passion for and commitment to the state’s No. 1 economic generator – agriculture. This year’s contest begins Monday, March 11, 2019. Contest winners will be displayed in the Agriculture Building at the 2019 Missouri State Fair in Sedalia. Photos will be accepted from Monday, March 11 through Friday, June 14, 2019. Eligibility – The contest is open to any amateur photographer and a special prize will be awarded to the best photo submitted by a child, age 12 and under. Photographers may submit up to three entries per category, and the entries must show some aspect of agriculture including food production or agritourism in Missouri. Want to check out this year’s competition? Check out our Flickr stream at http://flickr.com/moagriculture. Beauty of the Farm – Missouri is home to lush landscapes, rolling hills and stunning sunsets all found right in our very own backyards. The beauty of the farm is captured through a love and respect of the land and a dedication to a better tomorrow. Enter photographs that show the pictorial, scenic or graphic nature of Missouri farms, farming or agricultural products and represent the beauty of your farm. Faces of the Farm – Individual people coming together with their unique personalities, ideas and work ethics are what make Missouri great. We want to see the portraits of Missouri’s farmers, farm families and people who make agriculture great doing what they do best – working! The story of agriculture is often told in the people who work and live on the land, so show us the faces of your farm. The Farmer’s Life – The life of a farmer is unique and always interesting. With everything always on the move, photos help capture the humor, drama and fun of the farm that makes this lifestyle worth living. Work, play, friendship or farm families sharing their love for one another – it’s all about the farmer’s life! Farm Selfie – We know life on the farm can be unpredictable. Sometimes you don’t have time to grab your camera and line up the perfect shot that describes your feelings towards Missouri agriculture. With the farm selfie category, we encourage you to pull out your smartphone, snap a selfie in those surprise moments, and capture the authenticity of life on the farm. 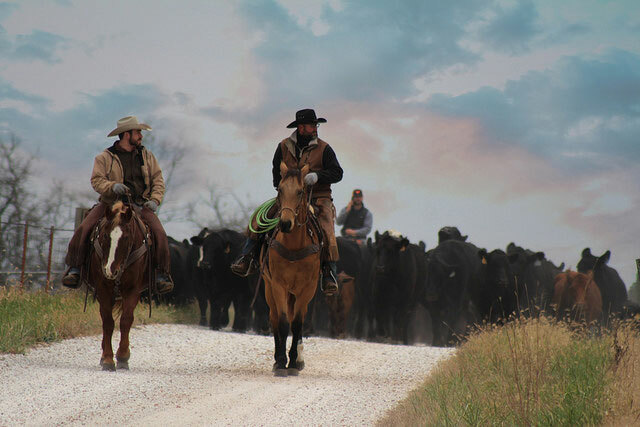 Pride of the Farm – There is a lot to be proud of when it comes to Missouri’s farms and ranches. We know you are pleased with your trusty tractors, lush fields, healthy livestock and all the hard work that goes into them – so don’t be shy and show them off! Showcase what makes you proud to be a Missouri farmer. Children’s Barnyard – We are amazed by the talent of the children here in Missouri. Through 4-H or encouragement for their parents, children across the state are taking incredible photos of what agriculture means to them. That’s why we created a category just for children ages 12 and younger to showcase what they are doing on the farm and in their communities. Open to children ages 12 and younger. All types of agriculture and farming-related pictures are eligible. Parent/Guardian approval required. Entries submitted by photographers age 12 and under are eligible for separate judging. The winner of the Children’s Barnyard category will receive a $25 gift card to the Missouri Grown Market. * Submitting your photo(s) is an agreement of all terms and conditions set forth in the guidelines. Photos must show some aspect of agriculture including food production or agritourism in Missouri. Photos must have been produced in Missouri since January 1, 2016, by the person submitting the image. Limit of three entries per category per photographer. Significant digital manipulation of photos is not allowed. Normal cropping, color correction, etc. are acceptable. Employees of the Missouri Department of Agriculture and their immediate families are not eligible. Photos entered in the contest may appear on the Missouri Department of Agriculture’s website, Flickr page and in Department publications. Winning photographs will be displayed at the Missouri State Fair. “Pure Joy” by Jody Teague of Cole Camp, Mo. “Curious” by Jon Wilson of Ava, Mo. 1st Place: “Early Morning Walk” by Betsy ONeal of Cabool, Mo. Runner-up: “Slowly Coming Along” by Kimberly Patke of Villa Ridge, Mo. Honorable Mention: “Bloom Groomer” by Aaron Baker of Lawson, Mo. Honorable Mention: “Hay Season” by Caleb Hawkins of Napoleon, Mo. 1st Place: “Spraying Pastures” by Pam Thompson of Lohman, Mo. Runner-up: “Oink” by Ashley Homan of Pilot Grove, Mo. Honorable Mention: “Pop-Pop’s Little Helper” by Wendy Hall of Liberty, Mo. Honorable Mention: “Howdy Neighbor” by Carolyn Buhman of Clarksdale, Mo. 1st Place: “Juliet” by Lindsay Mercer of Cole Camp, Mo. Runner-up: “Curious” by Jon Wilson of Ava, Mo. Honorable Mention: “Uncle Paul” by Tricia Wisbrock of Fenton, Mo. Honorable Mention: “Sneaking a Lick” by TJ Bruner of Jacksonville, Mo. 1st Place: “Farmer and Tractor” by Emily Meneely of Wheeling, Mo. Runner-up: “Hard Days Work” by Jody Teague of Cole Camp, Mo. Honorable Mention: “Waitin’ on the Water” by Ashley Homan of Pilot Grove, Mo. Honorable Mention: “Farmer Mechanic” by Lacey Miller of Palmyra, Mo. 1st Place: “Old and New” by Michaela Carroll of Deepwater, Mo. Runner-up: “Branding Day” by Lacey Miller of Palmyra, Mo. Honorable Mention: “Dairy Beauty” by Aubrey Fletcher of Purdy, Mo. Honorable Mention: “Gooseberry Harvest” by Juliane Sykes of Chillicothe, Mo. 1st Place: “Good Morning” by Clara Wallace of Vandalia, Mo. Runner-up: “Eye on the Soul” by Caroline Volner of Saint James, Mo. Honorable Mention: “Farm Traffic Jam” by Asher Ahrens of Jackson, Mo. Honorable Mention: “Better than a Playground” by Emma Bell of Bucklin, Mo. All the photos entered in this year’s contest can be found on the Department's Flickr stream.